Heroin addiction is a recognized mental disorder and is classified in the Diagnostic and Statistical Manual of Mental Disorders (DSM-5) as opioid use disorder, although heroin is just one of several opioids that people can become dependent on. More and more people are becoming addicted to prescription opioid painkillers, and the lines are blurring between these very different groups of drug users. Research shows that compared to users of other illicit drugs, such as cannabis, ​meth, and cocaine, people addicted to heroin may have a tougher time. However, it is not clear from the research whether this is an effect of heroin itself, or whether there are characteristics of the people who get addicted to heroin, or even take it in the first place, that make them vulnerable to these difficulties. Heroin users are often portrayed as stereotypical addicts, although some people are able to use heroin without becoming addicted. The official diagnosis for heroin addiction is opioid use disorder, although many people with this diagnosis are actually addicted to painkillers. Methadone is a substitute opioid drug that can be prescribed to people addicted to heroin, including pregnant women who use heroin. Another option is suboxone, which works better for many people on long-term opioid substitution therapy. Harm reduction, including use of clean needles, is an important part of staying safe. Many heroin users die from accidental overdoses, but it is possible to reverse a heroin overdose if it is caught in time. Frequent, often daily, use of heroin. You may even use heroin several times a day. Tolerance to the effects of heroin. Increasing doses of heroin are needed to be satisfied with its effects. One of the dangers of tolerance to heroin is that when heroin use is decreased, for example, if you are unable to take heroin for a period of time, or if you temporarily quit or cut down, and then you take your previous dose of heroin, you run a much greater risk of overdose because your physical tolerance to the drug has gone down. Continued use despite negative effects on your personal life. You may be running into problems at work or in relationships because of missed obligations, yet you keep using heroin anyway. Withdrawal symptoms. These occur when a person stops or decreases using heroin. 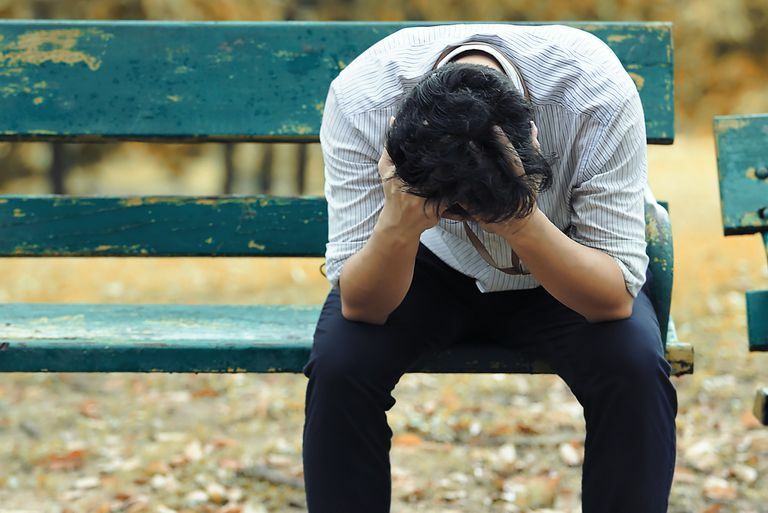 Heroin users often refer to this as "getting sick," and most accept the unpleasant heroin withdrawal symptoms, such as body aches, nausea, vomiting, and diarrhea, as part of heroin addiction. Recognizing you have a problem is the first step in getting well. Change can take time, and you are encouraged to connect with your doctor or addiction clinic for support. Research shows that as heroin users identify more with the role of the heroin addict, marked by social marginalization, personal networks of heroin users, and the heroin using lifestyle, they shift to higher risk-taking, injecting rather than sniffing the drug. Heroin addiction can become central to the lives of heroin users, and it typically has a negative impact on other areas of life, such as family, school, work, or recreational activities. Many heroin addicts are not able to function in the usual sense, and spend their lives focused on obtaining money to buy heroin and taking heroin in a place of secrecy, where they can recover from the effects, which can include vomiting and dozing off or "nodding out." A study comparing users of different drugs shows the life patterns of people who take heroin to be much more difficult than those of other drug users, often involving time in and out of jail and multiple failed attempts to quit. However, some people who are addicted to heroin are able to live a "double life," in which they are able to hold down a job, have a family, and so on. This double life is typically very stressful and requires an enormous amount of energy and organization, as well as a constant source of money. Heroin addicts often describe a "love-hate" relationship with the drug. Typically, it is perceived as the only really effective way of coping with the stress of life and the burden of a history of trauma and emotional and physical pain. Heroin addicts also find the effects of the drug pleasurable, whereas those who try heroin and do not become addicted are put off by the unpleasant effects. The drug is often romanticized in the minds of heroin addicts, but really, it comes down to an artificial and very temporary state of tranquility, which is comforting to users in contrast with the uncomfortable emotional state that occurs during withdrawal. If you haven't already, finding a needle exchange is a good first step if you are injecting heroin. Although not intended to provide treatment, needle exchange programs can also be a good place to find out about sympathetic doctors and free clinics. If you or someone you know has progressed from heroin use to heroin addiction, you should seek help as soon as possible. Heroin addiction is well-recognized by the medical profession, and treatment services are available. Although overcoming heroin addiction is a difficult journey, recovery is possible, and a range of treatments are now available to help you to detox, to manage withdrawal symptoms, to prevent relapse, and to help you to get your life back on track. Many people who are unable to quit heroin completely are able to transition to methadone or suboxone to deal with withdrawal and help with harm reduction. Detox is often a good choice if you want to quit heroin, as you will receive medical management to help relieve the unpleasant withdrawal symptoms. However, it is a good idea to line up residential or community-based treatment immediately after detox, as your risk of overdose is very high once the heroin is out of your system, and you face the stresses of life without the buffer of heroin. As with other addictions, quitting can be a long challenge, and you may experience setbacks, relapses, or periods when you don't want to quit. Remember, heroin use is risky, particularly when you don't know what is in heroin. Practice harm reduction, and try to stay open to the possibility of change. One day, you might find you are ready to try methadone maintenance or a different treatment approach. Heroin addiction is a complex condition, with numerous social, psychological, and physical causes and effects. Despite people with heroin addiction being on the receiving end of some of the worst social stigma, heroin addiction does not make you a bad person, even if you behave in ways you later regret. Many people who have been addicted to heroin have been able to stabilize their lives, often with the help of treatment, and may even go on to help others. American Psychiatric Association. Diagnostic and Statistical Manual of Mental Disorders DSM 5, Fifth Edition. American Psychiatric Association. 2013. Hser Y, Evans E, Huang D, Brecht M, and Li L. Comparing the dynamic course of heroin, cocaine, and methamphetamine use over 10 years. Addict Behav. 33:1581-1598. 2008. Sanchez J, Chitwood D, and Koo D. Risk Factors Associated with the Transition from Heroin Sniffing to Heroin Injection: A Street Addict Role Perspective. Journal of Urban Health. 83:896-910. 2006. Zinberg N. Drug Set, and Setting: The Basis for Controlled Intoxicant Use. Yale University Press. 1986. Substance Use Disorders. Substance Abuse and Mental Health Services Administration. 2015.